The discussion of our one word was much less of a process this year. I sent a group text asking for the three words that each person felt was a word that would guide us through 2019. The two words that were common among us four were FINISH and BALANCE. After a little discussion, it was agreed that BALANCE, if we worked toward, would also address the term FINISH. Last year our word was EMBRACE. There was a lot of opportunities to do that. We moved states, changed jobs, changed schools, etc. We kept our chins up, and we grabbed hold of this change. It hasn’t been easy, but when is change like that easy? I was watching/listening to a marathon of DIY’s “Building Off the Grid.” Every 30-minute show at some point the novice builder building his “off-grid” cabin would say, “This was harder than I thought it would be.” At one point I rolled my eyes, I mean, what did he expect? It is Alaska, rugged terrain, remote and a very limited opportunity to build before the eight-month winter sets in, what was his first clue this would “be hard?” But then, I realized, he knew the challenges and yet the hardships were more than he anticipated. That parallels so closely with this last year and the move. I knew and anticipated the hardships, but I still didn’t realize it was going to be THIS HARD! So we leaned in and we embraced it. I can’t tell you how thankful I was for our #oneword EMBRACE both for myself and as a parent. We have so many things coming toward us and we are planning for in 2019. It is no accident that BALANCE was our #oneword for 2019. Honestly, it will be the greatest challenge for me. Perhaps as the coordinator and chief scheduler of all events and logistics, this may have been decided on as more a hope for me, than a need for our family as a whole. We have needs that if not met we will not achieve BALANCE. My greatest hope is that just as our #oneword guided us through 2018, our #oneword for 2019, BALANCE will do the same. I know for me it will be a great integration between our family #oneword and my personal #oneword for 2019- FOCUS. You can read more about my personal #oneword on my professional blog: My 2019 #oneword- FOCUS: Yes, It is a Revisit! What a journey this last year has been. We have had many celebrations and many moments of grief. Through it all God has been with us. Comforted us. Grown us. Kritterman’s journey into middle school was smooth sailing. He excelled in all areas… some in his sister’s footsteps with theater. Others were on his own path… specifically in the area of band. At first I wasn’t sure band was for him. When he started to shine, I thought it was due to the competition with his fellow saxophonist. Later I was informed it was due to my threat when he made a “B” on a playing test. I don’t recall saying this, but according to him I told him if he made another “B” in band I was yanking him out. I don’t necessarily recommend this type of parenting, but I guess I had a weak moment and it worked to both of our advantages. He ended the year, first chair, superior plus rating on his solo in Solo and Ensemble contest, and best instrumentalist of the day by the judge he played in front of at Solo and Ensemble. As I type this he is at a Band Camp in Arkansas. It is his first overnight camp and he knows no one. He has texted a few times, but he is loving it AND on his own accord signed up for extra classes for support with his saxophone and with the upcoming season of All-Region Music for Arkansas. He is going to be o.k. EmBug’s transition to high school was a bit bumpy at first. Taking three pre-AP classes, one AP class, Productions, Theater I, Advanced Girls Choir and on online Spanish II class made for a tight schedule and some long nights. Over time she found a rhythm. Highlights of her year included a leading role in Eaton Drama Department’s freshmen production of “Radium Girls.” She also worked tirelessly with throughout the production of “May Fair Lady” as a chorus member. Her pinnacle achievement was being cast in the award winning One Act Play (OAP) “The Insanity of Mary Girard.” At times I was worried about her social life, as she rarely had a spare moment and every moment she utilized. However, my worries were put to rest, as the final week she was in Texas she was thrown a good bye party with her friends and was occupied for breakfast, lunch and dinner that last week by one sweet friend or another who wanted to squeeze out just a few more moments with her. In both kiddos situations we are blessed. Not just this year, but every year they attended a Northwest ISD school. We have had so many teachers invest in EmBug and Kritter. Encouraging them. Building them up and challenging them. Their teachers, in many cases, have become my friends as well. I can’t tell you how much I appreciate them. I love my kids, and so do these teachers. These teachers loved my kids in a way I, as a mother, cannot. They taught them to take criticism and coached them in a way I could not. These teachers allowed the environment of school dynamics play out, whether it be collaborative projects or planning activities with others that came with its own set of challenges, when I would have just tried to rescue Kritterman and EmBug. I am eager for the journey ahead of us, and thankful for those that prepared us for the road ahead. I know that God has a plan for these kiddos. I know that every teacher in their path will guide them. We will miss Northwest ISD. However, I am eager for the next chapter in our journey. Early December of 2017 I started thinking about “One Word” for 2018. As the “keeper” of so much of our families events, activities and daily living, it became very apparent that before I selected a personal “One Word,” my family needed their own “One Word” we could all get behind, use to push us forward, anchor our core values, and weather the challenges that would be coming our way. It wasn’t until we took our family trip starting New Year’s Day 2018 (a new Christmas gift tradition for the kids), that the uninterrupted family time could provide opportunity for organic conversations and discussions to take place helping us select our word. It was on third day of our trip to California, as we drove through the vastness of the Joshua Tree National Park that we began to discuss what the Wilson Family’s “One Word” would be. To keep each individual’s ideas respected and honest, each family member was to submit three words to me. After some time given to ponder, each family member submitted their three words. Using a loose version of the “Affinity Map Protocol” from my educational coaching tool box, we put the words into related or similar groups and then looked for what might be similar or capture the meaning of all of our words into either a new word or a word that had already been part of our original list of words. Our “One Word” wasn’t decided by the end of our trip. We revisited it several times. Mid-January we moved toward the word “Embrace.” The timing of our family knowing this was the word was truly God’s timing. It has found it’s way into many conversations with our children, with our marriage and with our interactions with others. Most of all it has defined how we, as a family, are walking in faith, trusting God’s plan and EMBRACING his will for us. Whether as a noun or verb, the response is willingly and/or enthusiastically. So whatever we as a family encounter, or have an opportunity to impact, we will EMBRACE with willingness and enthusiasm. It has been a while. There has been a lot that has happened in the last five months. So much so that I am not sure even where to start. We have seen God work in amazing ways. However, it doesn’t go without saying there have been trials;To the point that I have looked forward to the steady, regular chore of doing the laundry. The adventure began in mid-June with Eric heading into a new job/career working with people who value his expertise and care about his entire well-being… in ARKANSAS. At the same time we were seriously considering selling our home in Texas. The job change just pushed us toward making that a reality. In the same turn we made a decision for the kids and I to stay in Texas. This would allow me time to prepare for finding a job in Arkansas in education and honor the direction EmBug is headed with her passion for the Theater and Vocal Arts and keep the course with the phenomenal programs offered in the district she currently attends school. On top of all that another transition was us purchasing a home in Greenbrier, Arkansas where Eric will reside during the week near his job. Eric would then spend time in Texas on the weekends, and the kids and I have a “vacation home” to hang out on long weekends and holidays. To further the changes Kritterman started Middle School and EmBug entered High School. It has been a roller coaster of changes. So when I say that I have learned to love the laundry, it is a strange, but true statement. No matter the chaos, the laundry must be done. No matter what made the piles of dirty clothes, once they are clean they are ready to be worn again. I find myself folding the kids and my clothes from the past week and remembering the small moments when they were wearing a certain t-shirt and quipped some humorous comment, or how one certain item is in the laundry every week… and I smile, because I know in our upheaval, the kids have a piece of clothing that brings them consistency and comfort. Every time I do the laundry (usually over the weekend in about a 12 hour stint) I get a certain excitement in feeling like I am giving my whole family a chance start another week with a fresh start, just like Jesus gives us grace and a fresh start. So, I am learning to love the laundry, my hope is that I am also giving this blog I write about our family life a fresh start. Our Razorback Ranch may have a few changes (the Razorback Ranchette in Texas and the New Razorback Ranch North in Arkansas) but the heart of our home is in our family and no matter where we are, we have the laundry I am learning to love for the consistency and continuity it represents. With that I am wanting to share our journey in simple uncomplicated ways and how God works… even in the tedium of laundry. This is a STAGE in life… right? I love my kids. I love my husband. I love my job. I love serving in my church. I love my family. I love my friends. Easter 2017 with Eric. Love this picture of us! I love spending time with my kids and my husband. I don’t see my time I spend on my work outside of the normal working day as intrusive or excessive; I enjoy every minute of my job, even when some days the hours are long. I love serving in my church. I love and treasure the time I spend with my family. Unfortunately, not much is left for my friends. As my time is being taken up more by my children’s events and activities, it leaves very little time for “friend time.” For me, if there is a conflict between my children’s events and activities, time with my husband and/or family time and an opportunity to spend it with my friends… it will always be kids, husband and family. Right now those conflicts are happening so much, I find myself disconnected from friends. It’s my fault. However, I wouldn’t change the decision I have made to put my kids/ husband/family first. I have even seen it said that if you find your friendships fading it is because you have become self-absorbed or busy with your life, and not taken the time to invest in your friendships. I don’t disagree… but I can’t tell my kids I won’t be at their events, performances and moments. I also can’t tell my husband I would rather go out with the girls on a Saturday night after he has been traveling weeks at a time and wants to spend time with me. So that brings me back to finding myself disconnected from friends. I don’t like that my friendships have grown apart, that I don’t have meaningful conversations with my friends on a frequent basis, or that I don’t get invited to fun nights out. That is on me. So I ask myself, how do I fix that? Well, you have to be a friend to have a friend, right? That requires time and investment, and I am right where I started. So I think I am resigning myself to the truth about this time in my life… it is a STAGE. Text from the parents of a family that Kritter gave a tour for Kindergarten Roundup. This is the school where he attends and I am the Assistant Principal. I apologize to all my friends who may have assumed that I just didn’t want to be friends anymore because I never call… not true. I just am trying to stay one football game and musical performance ahead of my kiddos and still have a meaningful marriage. I hope I don’t look back and regret that I didn’t make more effort to find the time for my friends. I do know I don’t regret a moment I have been present to treasure my husband or my kids. It has been the surprise moments where I have chosen to be there for my kids that I have seen God work. Seen how they are growing up into amazing adults. They have also seen how their mom and dad love each other, because we spend what little time we have, together. So this STAGE… it won’t be long, and I am working on being content with that. When Kritterman and EmBug were little we would ask them, “What do you want to be when you grow up?” Over the years EmBug has wanted to be Taylor Swift, an artist, and a “Cat Lady,” yes, a “Cat Lady.” Kritterman has wanted to be a Lego designer, an astronaut and a video game designer. As a parent you wonder will their aspirations and dreams become a reality. Do their gifts and talents align? And then you are given a gift, a window to see the possibility. We all believe in our kids. We do our best to provide them every opportunity. We celebrate their accomplishments and we hope upon hope that their dreams will become a reality. Lately our home has been a bustle. 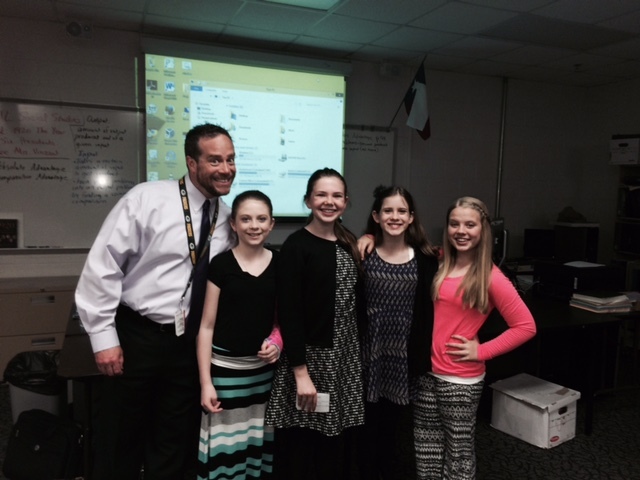 EmBug began the school year as part of the cast of the Northwest ISD Middle School Musical Production The Lion King. She had practices every day after school and even a Saturday for the first four weeks of school. All the while she kept up her school work and managed all A’s by the end of the first marking period. She loves the stage and every piece of what makes theater, theater. Between this event and now she has had a choir concert, another theater performance Attack of the Zombies, planned and put on a school dance with her Student Council as STUCO president, practiced for an upcoming piano competition, all while prepping, practicing and trying out for All-Region Choir. She is my workhorse. She is efficient with her time and her resources. She excels at whatever she puts her mind to do. As a mother, though, I wondered… what is it that she really wants to do? What does she see herself doing? Recently EmBug has been talking passionately about wanting to be a secondary Choir teacher and more specifically a Region clinician. Her experience last year at all-Region Choir, UNT Choir Camp this summer and the ongoing impact of her Choir teacher Lauren Wilemon had spurred her to this new found path. I was excited for her, but I wondered if it was the environment or it was innately her. Then God gave me a window. It wasn’t during a performance. It was at all-Region tryouts as the group warmed up. Her face was in complete love of what she was doing, she wasn’t just “warming up” she was feeling the music, she was moved by the notes and the story the song was telling, every part of her was in-tune to the notes and the song… she may have been in the middle of the gym floor with twenty something other girls around her, and yet it was if no one else was there and a spot-light was on her. In that moment I saw her as the Secondary Choir Teacher and Region Clinician she desires to be. I saw the promise of her future. As a mother, I wondered if the math and programming is just what he is good at, or is this something he loves… is he passionate about it? Then his current math teacher Courtney Baker, emails me an image of his work where he figured out the volume of a box before he is taught the formula. He is able to problem solve how to determine the volume without being taught it. Was the strategy most efficient? No, that is what the formula provides. However, he determined how to get there, much like the original mathematician who determined the formula. A few weeks later, after many afternoons after school spending time in the same teacher’s flex space of her classroom, trying, trouble shooting and fine tuning he programmed a “Dash and Dot” to do a behavior that was inspired by a “YouTube Video.” It was a complete synthesis and redesign of a pop-culture social media sensation transferred to a computer programmed technology device. Once again, God gave me a window. I never doubt Kritterman’s resolve. He knows himself and his strengths. When he successfully combined the programming of the “Dash and Dot” with the influence of a “viral” YouTube with his own twist of humor, I saw how limitless his future will be. Who knows, one day he may be flying in deep space, programming computers and sharing via video with his own twist of humor using the knowledge he gained both now and through the completion of a dual major in Computer Science Engineering and Film Production. Never a Dull Moment when we can Dubsmash! Kritterman had a banner year in many ways. He took his first state standardized test this spring. Got his own phone on when he turned 10 years old and has taken on lots of new opportunities and responsibilities at school and at home. As mentioned, he moved from a one digit age into the world of two digit ages. This year’s list reflects not only his accomplishments and new responsibilities, but his ongoing passions and newly discovered passions. 15. Early in 2015 Kritterman took the many hours of reading from a specific list of books and participated in Battle of the Books at his elementary campus. While his team did not win at the campus level, his dedication to read and work with a team of fellow readers further encouraged his love of reading. 14. One exciting new responsibility is helping Dad mow the lawn. That involves driving the tractor (or sitting lawnmower). 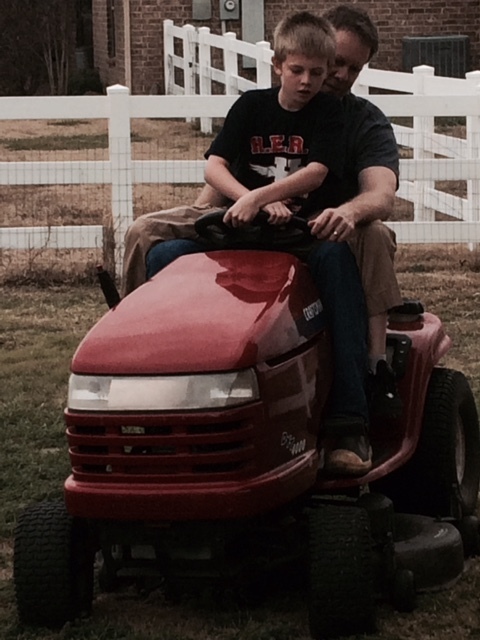 In late February was his maiden “voyage” and he’s been helping Eric ever since… that is until the tractor bit the dust! Yes, we are on the hunt for some new wheels and nothing would make Kritterman happier than to be back in the driver’s seat! 13. Kritterman continued to showcase his learning through his favorite medium… technology. 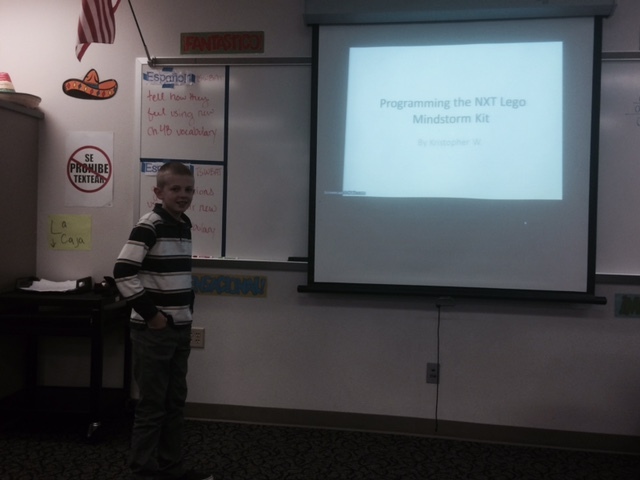 For the fourth year in a row Kristopher presented at our district’s Techno Expo. You can read a previous post about him and his sister “#digitalLearning… It’s a Family Affair.” He continues to amaze us how he utilizes digital tools to emphasize his strengths and support other learners. 12. 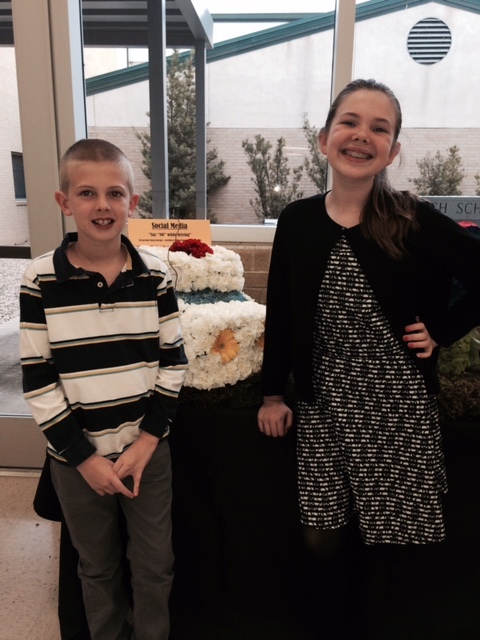 For the third year Kritterman competed in Destination Imagination with his team. They practiced for hours months before the regional competition. It is amazing how much he enjoys this truly kid driven, creative problem solving competition. 11.Soccer continues to be a love of Kritterman’s with him playing Outdoor Spring, Summer Indoor and Outdoor Fall seasons, with a total of 3 1/2 years of soccer. He truly enjoys being able to play on the same team, the Firebirds, with the same coach for several seasons. 10. Kritterman spent the two previous summers attending the district Lego Robotics Club and his skills have grown exponentially. He was asked by special invite to join 4th and 5th graders to be part of his school’s Robotics Club. This led to him having the opportunity to be part of a presentation at Northwest ISD’s Night of No Limits (a Problem Based Learning- PBL Showcase). He continued to attend the robotics camp in Summer of 2015 and earned half of what was needed to purchase his very own Lego EV3 Robotics Kit so he could pursue his passion for robotics and programming at home. 9. While our aim is to always be at school, when we found out Kritterman had earned an award of Perfect Attendance we were both surprised and thrilled. It wasn’t our pursuit.. it just happened. So, when the end of the 2014-15 school year awards came around it was worth celebrating! 8. Did you read #12 and #10? Need I say more? Attending his 3rd Lego Robotics Camp was his thrill… his bot did not win the battle like he had hoped but he has plans for this year. Watch out world… or at least all the other campers! 7. This year was Kritterman’s “decade” birthday. We wanted to do it in style. EmBug and Mom were on a mission trip on his actual birthday, June 23rd, so to make a big splash a Minion Birthday Party was planned early in July for the opening weekend of the movie “The Minions” at the luxurious dine and watch movie theater, The Moviehouse. 6. When you have your own YouTube channel, blog and have created video tutorials for robotics programming you might be asked to sit on a panel and be asked questions by educators wanting to know why technology in the classroom is important to how you learn. This happened this summer at an Educator Conference called 1:World where Kritterman with a handful of other students shared the importance of technology for their own learning. 5. In September Kritterman took a road trip with Mom and Dad to go to the Texas Tech vs. Arkansas football game in Fayetteville. This was his first trip with Mom and Dad all to himself and he enjoyed being their focus of attention and celebrating the Hogs! 4. Together Kritterman and Mom ran several 5Ks throughout 2015 (Reindeer Romp- December, Larry’s Run in Bentonville, Arkansas- September, and Run for Change- April). This has helped develop a new interest and a determination. 3.Of course part of running some of the 5Ks were motivated by the challenge to run a total of 26.2 miles for the the Marathon Club he participated in the fall of 2015. He reached his goal of 26.2 miles when he ran his final 5K of 2015 at the Reindeer Romp. It won’t be long before he will be passing Mom and beating her to the finish line. 2. How can it be said other than this boy loves Legos. No box of Legos can be left undone. Any extra cash, birthday money or Christmas money goes to a new Lego kit. 1. What do you do when you get a video of your son at a sleep over demonstrating his second time on a Pogo stick… and he has wicked Pogo stick skillz? You modify the Christmas list… 3 days before Christmas! There are lots of other joys, celebrations and accomplishments that any grandmother, aunt or mother would want to share, but for the rest of us, if you are still reading, this list is already way to long and must come to a close. We are looking forward to 2016 and as this post is getting it’s final touches Kritterman is already accomplishing more things worthy of posting. Here’s to hoping, as a mom, Kirsten can capture the events in a more timely manner throughout 2016! If not, know we will have another list of Top Events next year… we may be too busy enjoying the moment to get it published on the blog. The district I work for, and where the kids attend school, puts on Techno Expo, a technology integration showcase, of exemplar student work (a byproduct of their learning) every year at the end of February. The last two years, in my current role as an Instructional Technology Coach, I have co-hosted the production of this event with my entire IT team. Our district of 20,000+ students is provided this opportunity to showcase their best technology integrated work. From all of the submissions approximately 1,200 student products are selected as the exemplar products to be presented by the students on this night. This year I was part of another spectacular showcase. Even more exciting was being able to take time to be a proud mom as well. This year Emmarie had two presentations. Her first presentation was with a team of girls who put together a video documenting a Science PBL demonstrating potential and kinetic energy with the use of eggs and soda. 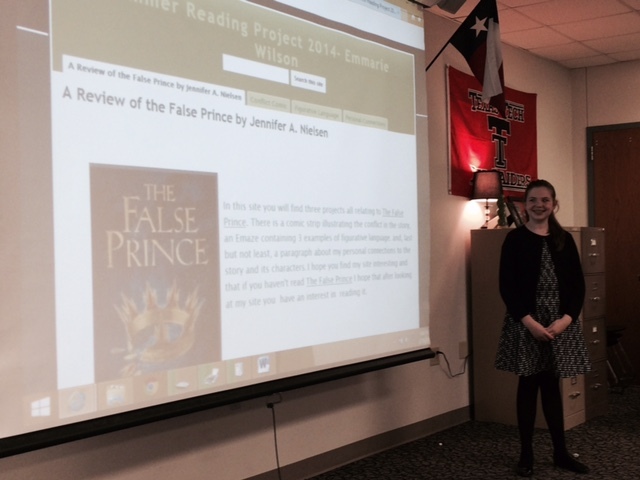 The second presentation was over her Google Site that showcased various content addressing standards through her summer reading selection. In both situations she shared not only her knowledge of the content but her skill in creating the products presented. On the same night Kristopher was also featured with his tutorial video created for the districts Lego Robotics programs. He had gone to a specific campus to support them as they began their Lego Robotics unit and from that created a screencast to support those learners as well as future learners who may need the resource. His presentation was impressive as he shared how he created the video but also how screencasting could be used to capture student learning. For me it was a proud moment: as a mom, as an educator, and as a member of this community. My children amaze me constantly and this evening’s event was no exception. Their commitment to learning, excellence and service is incredible. Eric and I have been blessed and know that God has and will do great things through our children. 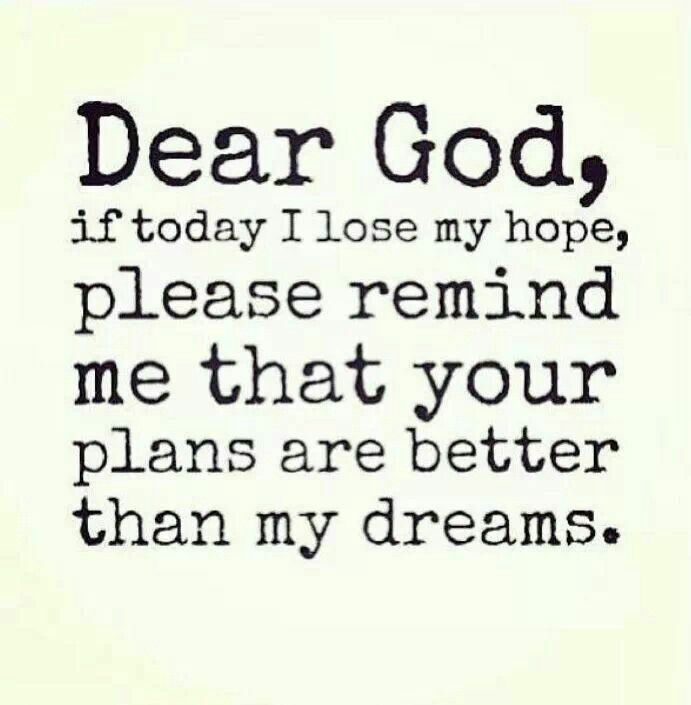 It is amazing to watch God work through my children and see prayers I uttered sometimes years ago and sometimes moments before answered in ways I never dreamed. What amazing ways do children in your life amaze you? How is God working through you and those around you? Kritterman experienced this rite of passage this spring. It first began with guided rides with his dad and quickly moved to solo rides and cutting the fenced part of our acre lot. He is quite tickled with his new found skill. He truly is eager to provide this service and his dad is only too eager to hand over the keys. It makes me so happy as a mom to see him so eager to help, and at the same time, a little sad. He’s not a little boy anymore. He will forever be a slave to the green lush monster… that is until he teaches his little boy this rite of passage.